LONDON - A woman suffered a stroke and may never regain full mobility after simply getting out of bed and cracking her neck. Natalie Kunicki of London says she was watching a movie in bed last month when she stretched her neck and heard a loud crack, the Daily Mail reports. 'My friend asked "was that your neck?" but all my joints crack quite a bit so I didn't think anything of it." said Kunicki. "I just laughed." As a paramedic, Kunicki didn't think much of the crack and even thought she may have been drunk and didn't feel the need to call for help. But when the 23-year-old got up to the go to the bathroom 15 minutes later, things changed when she fell to the floor. "I got up and tried to walk to the bathroom and I was swaying everywhere." said Kunicki. "I looked down and realized I wasn't moving my left leg at all then I fell to the floor." After being taken to the hospital, doctors found Kunicki suffered a burst vertebral artery which had caused a blood clot in her brain. 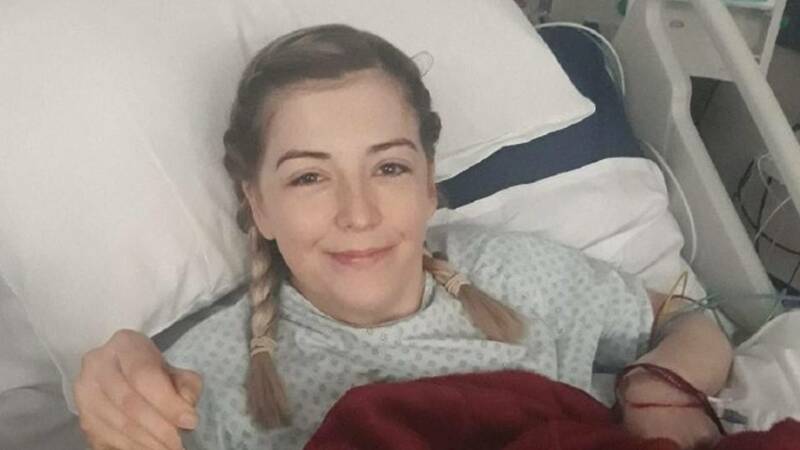 Kunicki was originally paralysed on her left side, but has since regained some mobility, although doctors are unsure whether she'll regain complete control of her body. "The doctors told me later that just that stretching of my neck had caused my vertebral artery to rupture. It was just spontaneous and there's a one in a million chance of it happening." A GoFundMe page has been set up to help Kunicki until she's able to return to work.